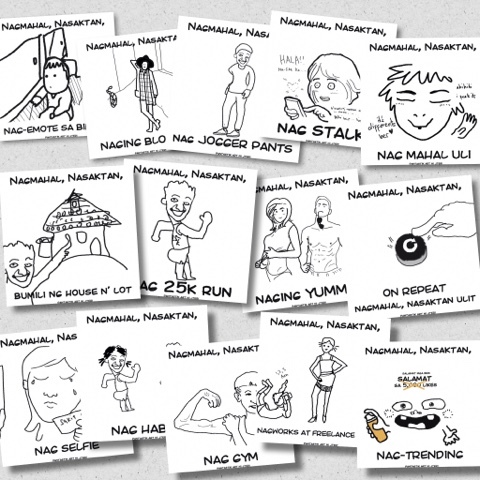 JTeri, a now popular graphic artist created these cool caricatures dubbed as "Nagmahal, Nasaktan" spreading good vibes in the world wide web. His caricatures teach how a person deals with heartaches and eventually move on from pain, improve himself, and emerge into a better person. How about you, what's your "Nagmahal, Nasaktan" story?! Feel free to share!